Location was very good. Close to St. Mark’s and Rialto. Nice amenities. Great central location, 5-7 minutes walk to San Marco, the supermarket just in front of the building. Location was good if you wanted to visit attractions in San Marco. The supermarket was very close. All the kitchen equipment was clean and in excellent condition. All bedding and furnishings were also in excellent condition. The location was very central for our needs. The location was very central. A short walk to either Rialto Bridge or San Marco Square. There was a good grocery store very close and a hardware and electronic store right across from the apartment. 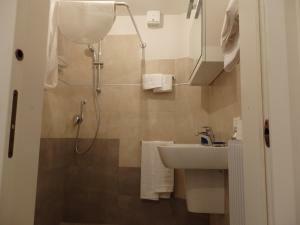 The apartment was very well equipped and was bright and pleasant with a fair bit of room. Location is good. There is a supermarket just downstairs, it open from 0830 to 2200. The toilet and kitchen is well equipped. It's quiet after 1 or 2am. The host is friendly, the location is perfect and the flat is quite clean and tidy! Very close to everything and perfect living for two. Good with towels. 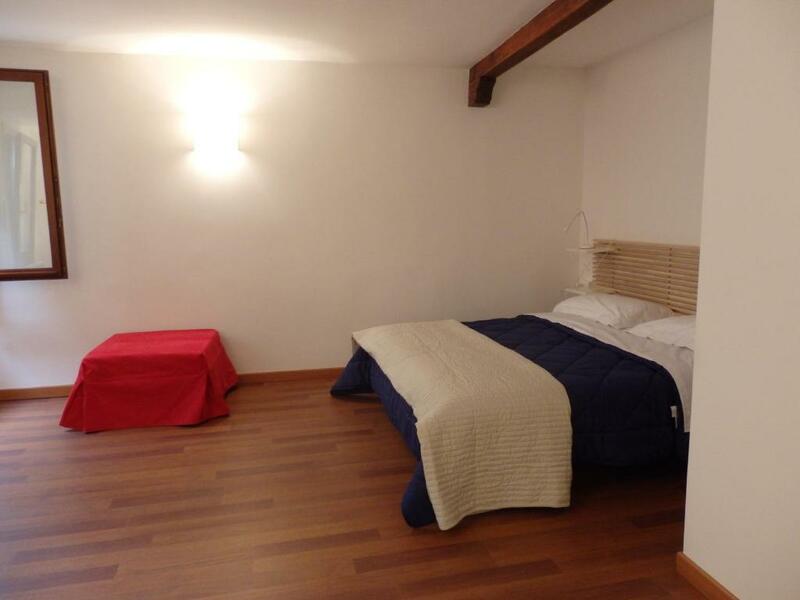 Lock in a great price for Appartamento Goldoni – rated 8.7 by recent guests! One of our best sellers in Venice! Located in Venice, Appartamento Goldoni has well-equipped accommodations featuring free WiFi, a few steps from Ca' d'Oro and a 4-minute walk from Rialto Bridge. 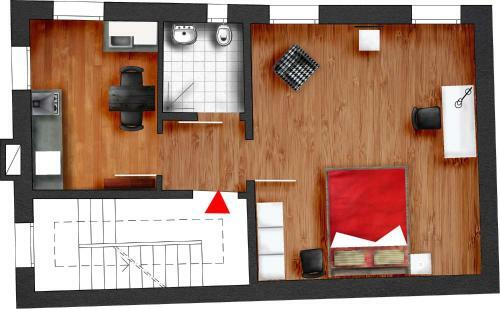 Accommodations feature a flat-screen TV, a private bathroom and a fully equipped kitchen with a microwave. A toaster and fridge are also featured, as well as an electric tea pot. St. Mark's Basilica is 1,200 feet from the apartment, while The Ducal Palace is a 5-minute walk from the property. The nearest airport is Marco Polo Airport, 13 miles from Appartamento Goldoni. 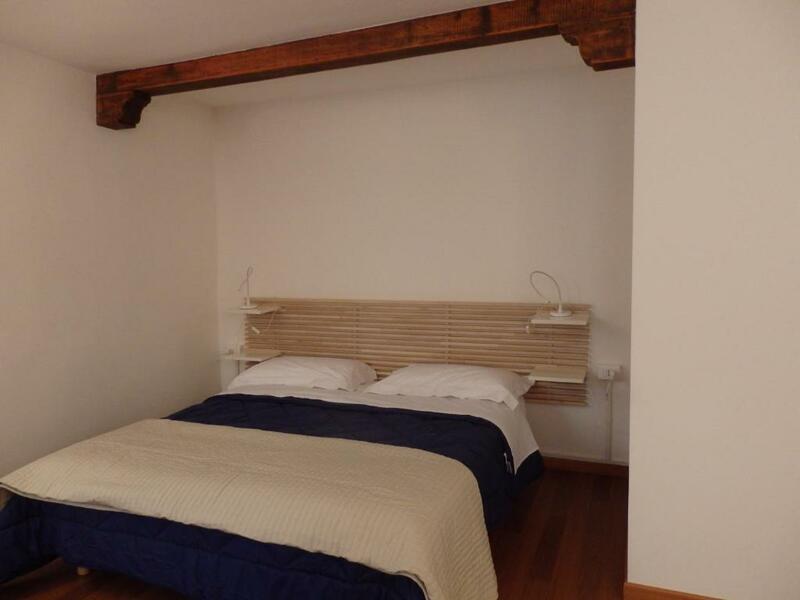 When would you like to stay at Appartamento Goldoni? This apartment features a toaster, stovetop and electric kettle. 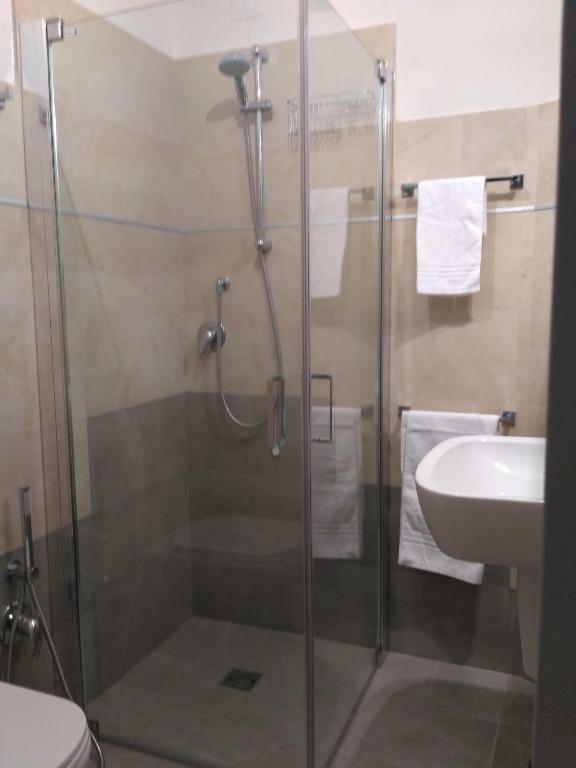 Residenza Goldoni è un è un grazioso appartamento di 30 mq. situato in posizione ideale tra il Ponte di Rialto (10 minuti a piedi) e Piazza San Marco (8 minuti a piedi) . La sua posizione centrale è un punto di partenza ideale per visitare i monumenti più interessanti. 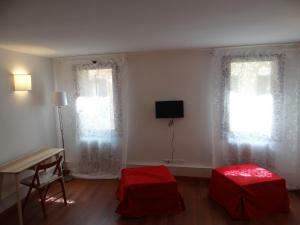 L'appartamento è stato completamente ristrutturato di recente ed è dotato di ogni comfort (aria condizionata, connessione internet WI-FI, ecc). , è ideale per chi vuole soggiornare nel cuore di questa magnifica città, solo ad un passo dai più famosi monumenti del mondo. L'appartamento si trova al terzo piano ed è raggiungibile tramite una rampa di scale piuttosto ripida. Si compone di una sala principale con un letto matrimoniale, e una poltrona che può diventare un letto a dormire; una luminosa e meravigliosa cucina, completa di tutti gli accessori . Bagno con doccia, asciugacapelli. Gli asciugamani sono forniti. 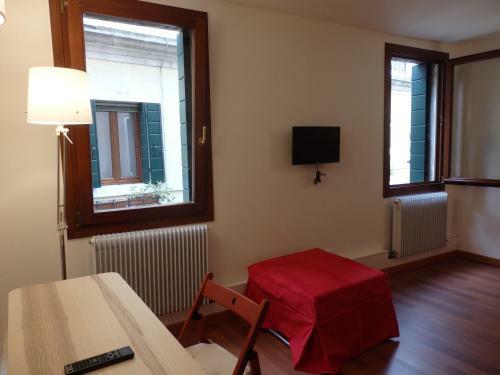 L’appartamento è ideale per una coppia con un figlio. 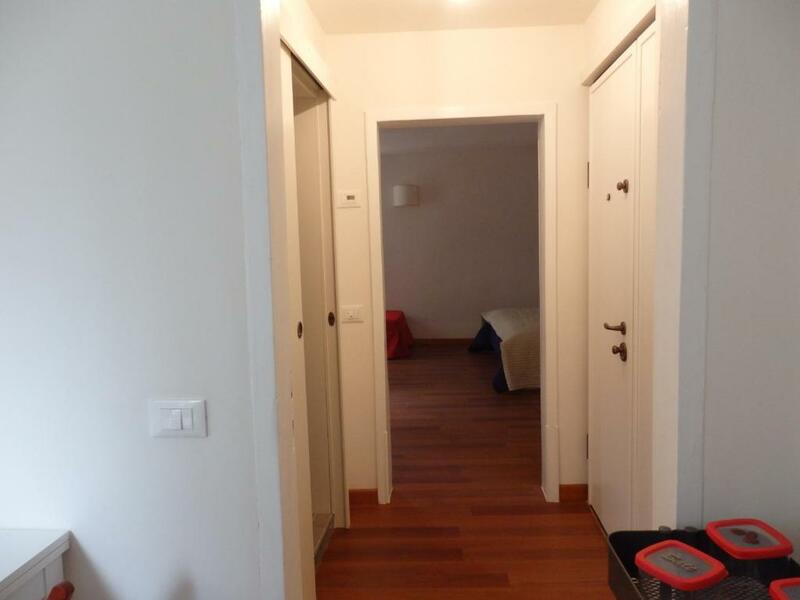 IMPORTANTE Disponiamo di un altro appartamento da 2+2 posti letto sulla stessa scala. Se Vengono affittati assieme (per totali di possibili 4+3 posi letto) si ha uno sconto del 30% . Vicino l’appartamento potete trovare ogni genere di negozi, un market proprio di fronte, un panettiere, una farmacia , una banca. Ed è circondato dai migliori ristoranti. Posto ideale per le vostre vacanze. House Rules Appartamento Goldoni takes special requests – add in the next step! All requests for late arrival are subject to confirmation by the property. The latest possible check-in, even if paying the surcharge, is 02:00. Mosquitoes at night. No lift. Long walk with luggage. It was on the second floor and no lifts. It would help in deciding whether to book apartment if we were aware of this. Easy t get lost. a bit exhausting to climb up to the room. everything is wonderful. highly recommended! The beds were very uncomfortable otherwise I would have gave 10/10. This would not put me off returning to the apartment. The property was in an excellent location and spotlessly clean. A lovely girl met us at the boat station and took us to the apartment which was only a few mins away. There was a grocery store directly facing the apartment which offered lovely fresh bread for breakfast. Free wifi which was a big plus. Giovanna who owns the apartment was fantastic, sending maps and info beforehand. I would recommend to friends and family. Fantastic stay. The bath room is very small . Hot water coming only until morning 8 AM . The door lock is not user friendly . With the windows open during the day and early evening there was a lot of noise from the street below. If stairs are an issue this may not be for you. It is up on the third floor so lots of steps. When you first arrive make sure everything works. After the person left we tried to use the stove but the automatic starter did not work. They provided a sparkier but it would not light the burner. We phoned the owner she was out of town. We finally found we could buy a lighter at the hardware store. This makes us wonder how well they respond to fixing things that are not working so best to make sure at check in. I was looking for 2 bedroom flat. 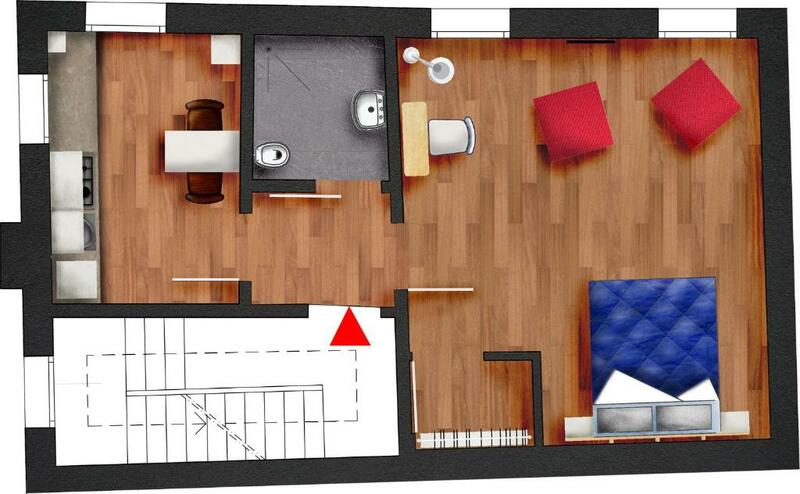 When I saw the picture of 2 floor plans, I thought it has. Turns out it just different decorations. It's very confusing. The folding bed is not comfortable. You can feel something underneath. But the main double bed is good. 3rd floor steep steps. Not the owners fault as this is advertised, but we had booked a 1st floor apartment in Venice.